(CNS): Justice Richard Williams, who served as a Supreme Court Judge in the Turks and Caicos Islands for several years, has joined the local Grand Court as its newest Judge and began hearing cases on Wednesday, 14 September. He was sworn in by Governor Duncan Taylor on Monday before he began working through his case load which consists of all types of criminal, family and general civil claims, but not Financial Services. The new judge arrives at a time when the work load on the criminal side of the courts in particular is increasing significantly. “The Court is fortunate to have obtained someone of the calibre of Justice Williams, who has had extensive experience in a legal system very similar to that of the Cayman Islands,” Acting Chief Justice Alex Henderson said as he welcomed Williams on board. 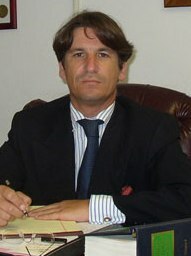 Williams is the first Grand Court judge appointed by the Cayman Islands governor on the advice of the new Judicial and Legal Services Commission established in the new Constitution introduced in November 2009. The commission carried out the recruitment process and shortlisted six candidates who were interviewed by a panel, which comprising of four members of the JLSC and the Chief Justice, The recruitment panel was unanimous in its view that the qualifications, experience and skills Williams possesses made him the strongest candidate.